Besides our standard range of 3D Induction Pipe Bends for mining we can manufacture custom sizes to suit our Customers requirements – Any radius from 3D to 10D and any angle up to 180 Degrees. 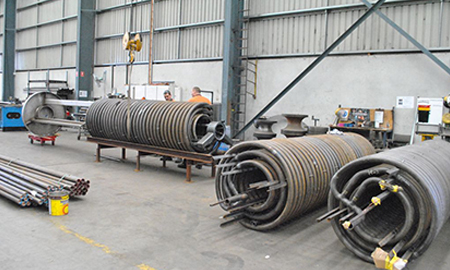 We can manufacture compound induction pipe bends such as serpentine style heat exchangers or other unusual shapes. 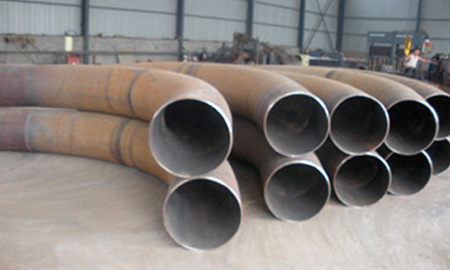 Compound Induction Pipe Bend “Spool Pieces” can substantially reduce the number of welds required during fabrication. Fewer weld joints mean lower manufacturing costs as well as better pipeline integrity. Induction Pipe Bends are available in almost any commercially available material – CARBON STEEL, Alloy Steel, Stainless Steel, Nickel Chrome & TITANIUM etc. Mandrel, Push or Roll Bending are all cold bending methods which can be used to manufacture Helical, Serpentine or Compound Bends. Endless design possibilities shapes can be manufactured – Helical Steam Coils shown in the photo below.